Joe Hell started to work in the film industry in 2005. His passion for the technique leads him naturally to the camera assistant position where he can satisfy his desire for knowledge in company of the best DoPs. His versatility, enthusiasm and reliability made him the first choice camera assistant for many of them. Comfortable with all different digital format, from mini-dv to Red/Alexa, computer savvy and fully equipped for managing data, he will assure a smooth transition from production to post production. 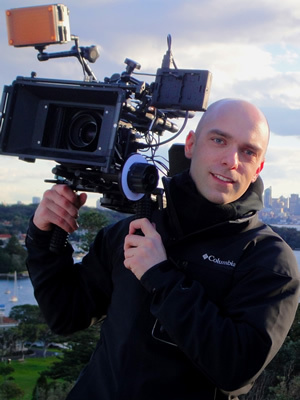 Graduated in fine arts, communication and documentaries film, Joe Hell acquired a fine sensitivity, well perception of composition and a good understanding of narration. 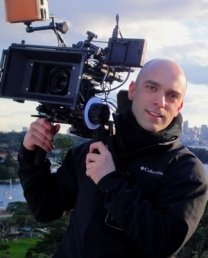 Along his career as camera assistant, he worked as camera operator for the locals and national televisions in France, as underwater videographer in Thailand and continue to film in Sydney where he has since been established.